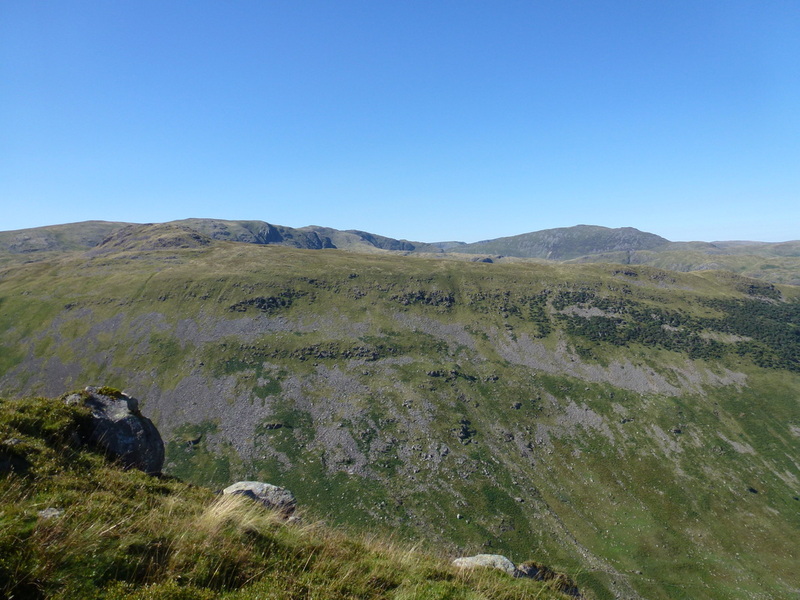 Having climbed Red Screes twice before and had no visibility on either occasion, we awoke to a clear sky and therefore decided to go for it. 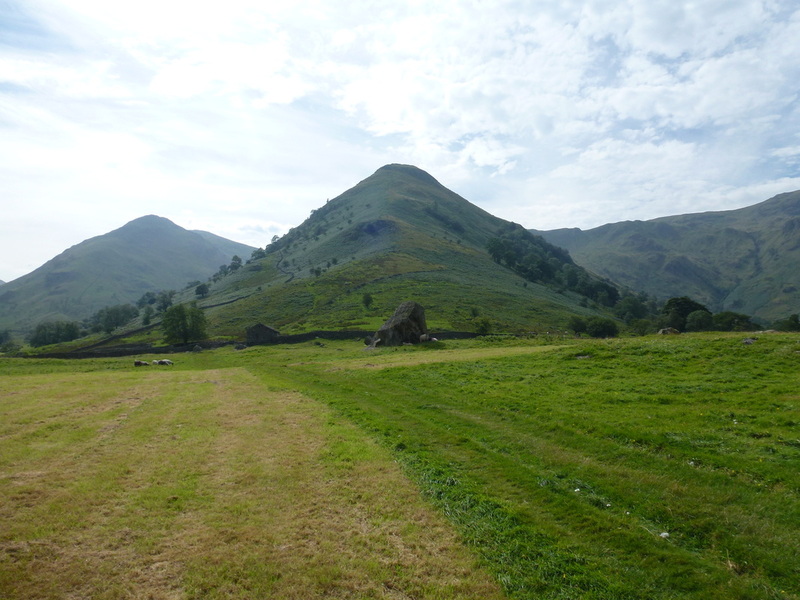 Instead of starting from Ambleside we drove to Hartsop where the Car Park at Cow Bridge was already busy. 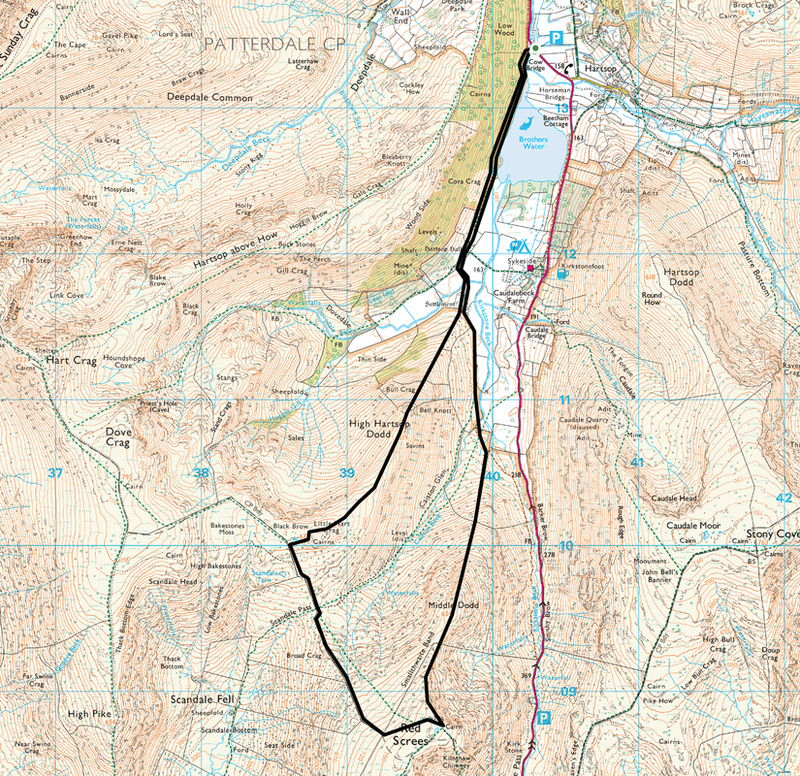 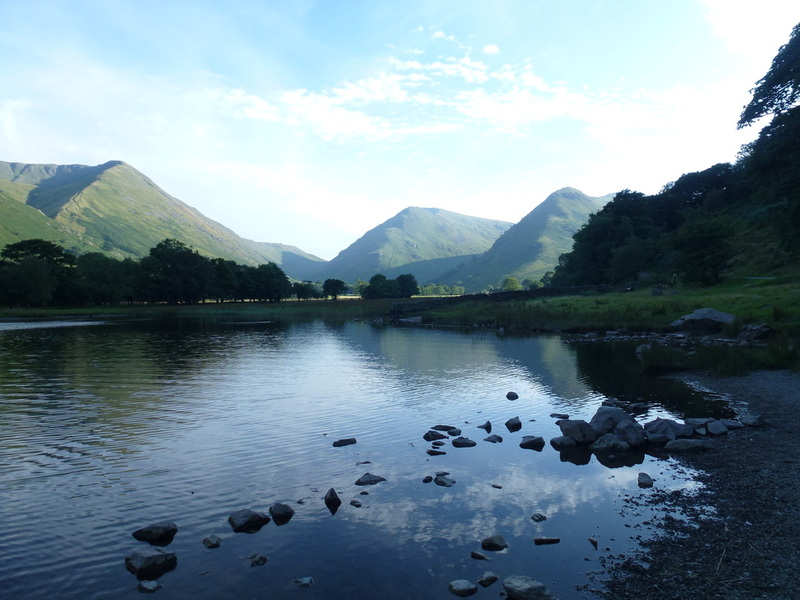 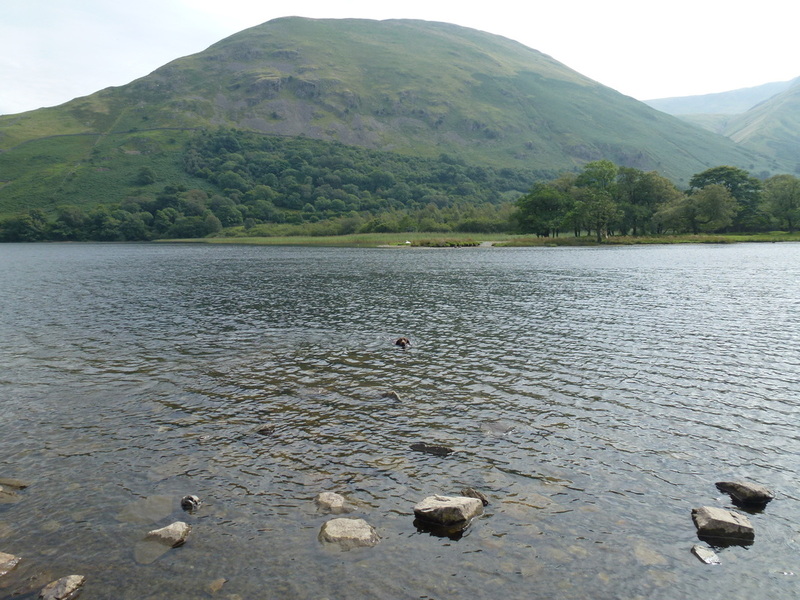 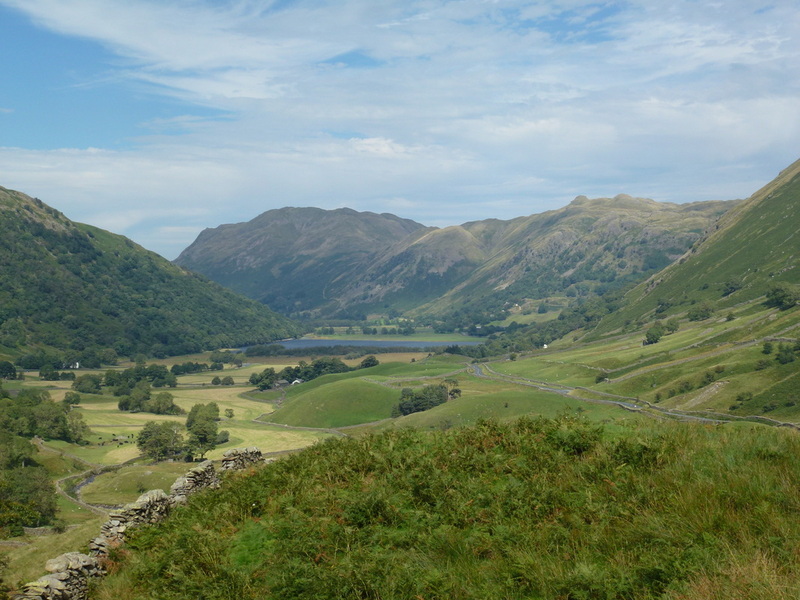 The walk has a gentle lead in along the shores of Brothers Water and on reaching Hartsop Hall the sheer steepness of Middle Dodd comes into view. 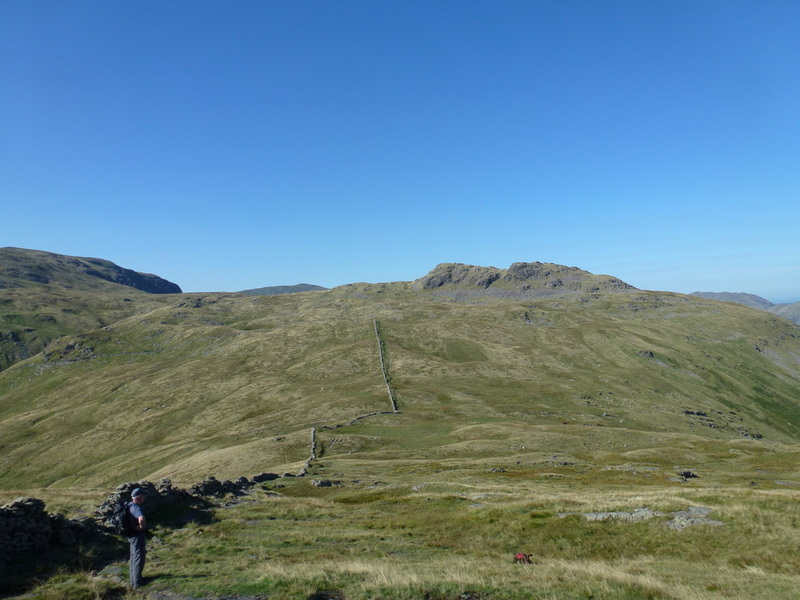 There is a wall part way up the steep face and whilst there is no path beyond this, in good visibility the way to the top is never in doubt. 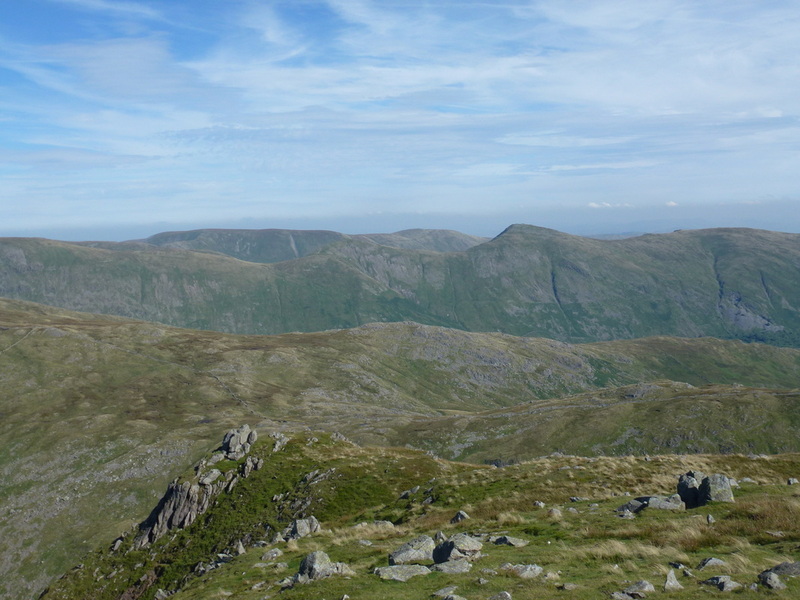 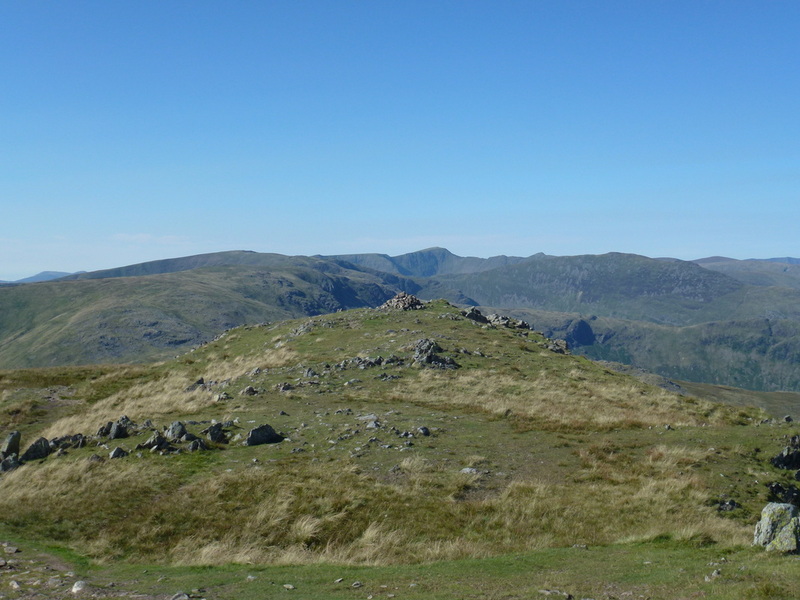 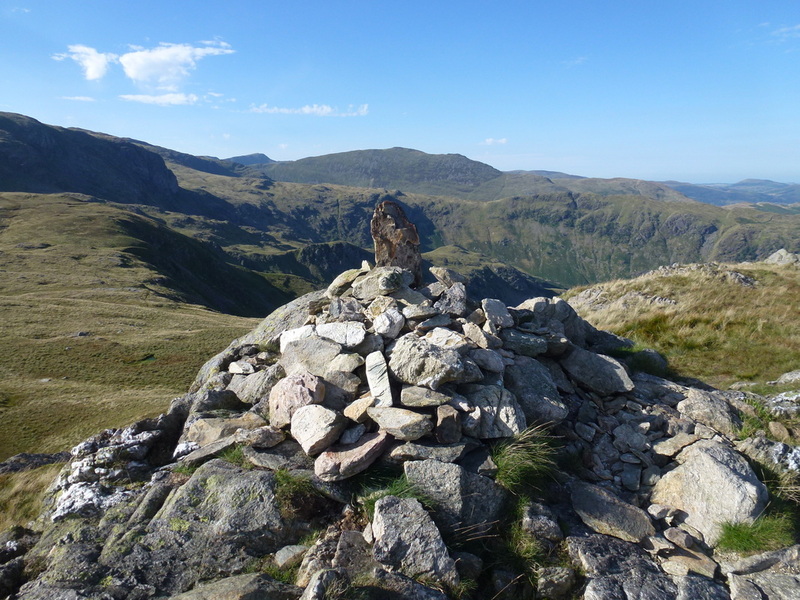 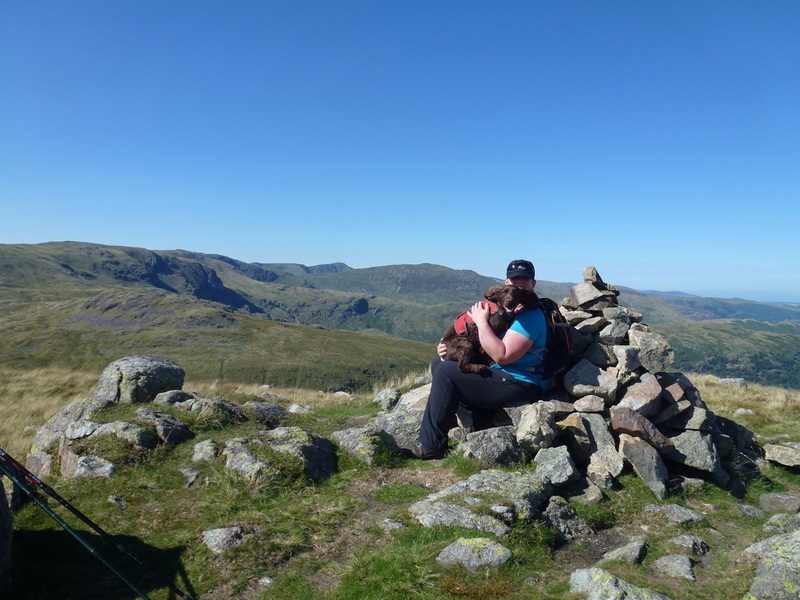 The Summit gained, we then made our way over to Red Screes which is not that far away. 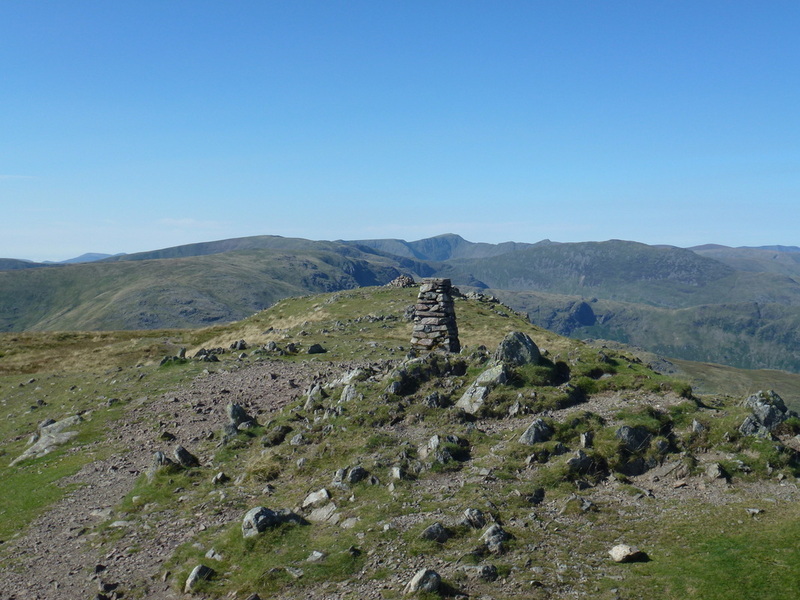 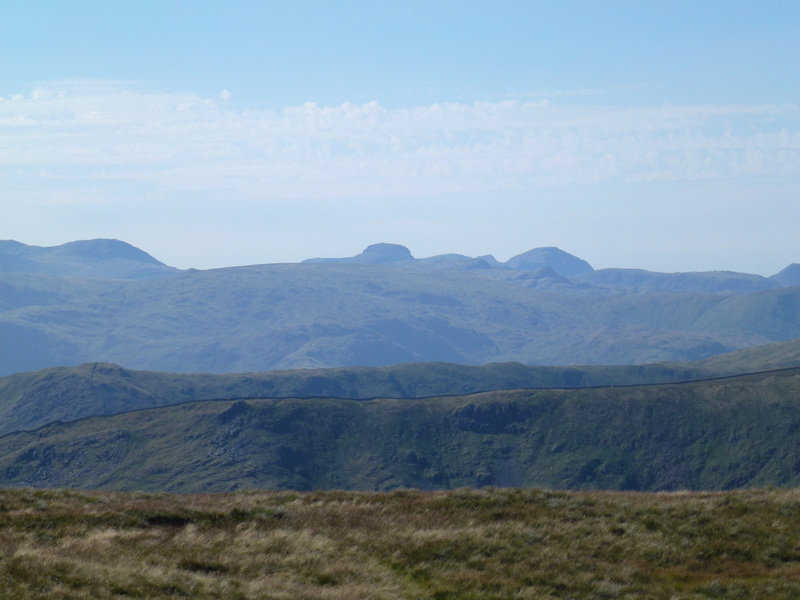 It was really heartening to see the views from the Summit - they were clear and far ranging. 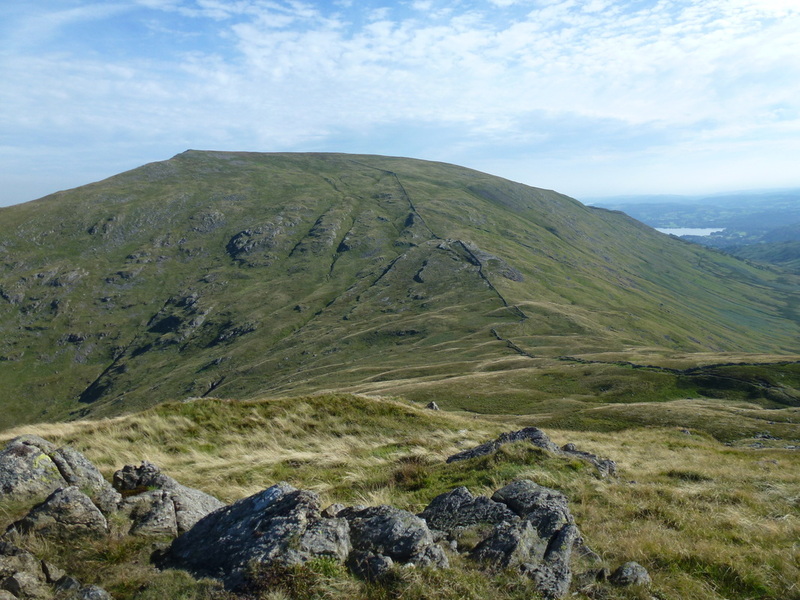 From Red Screes we made our way down to the Scandale Pass and then headed for Little Hart Crag - the views were still superb and the visibility held for us. 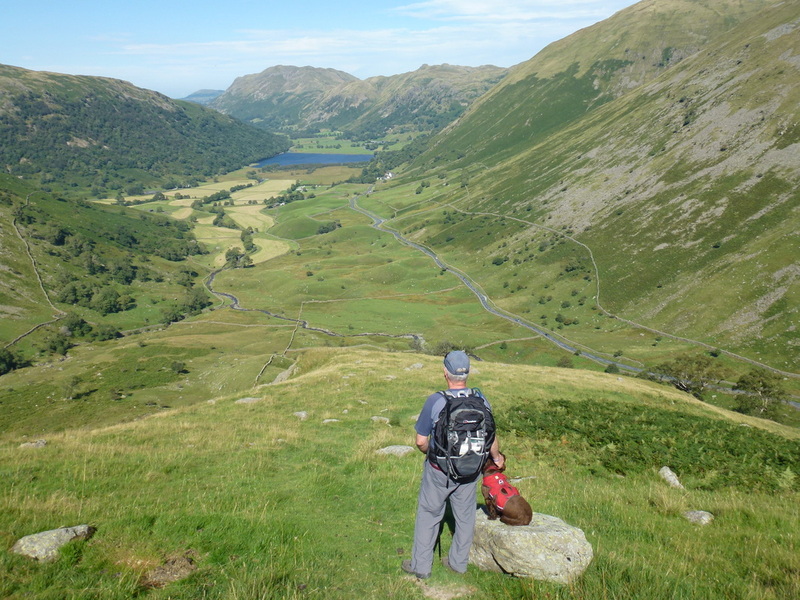 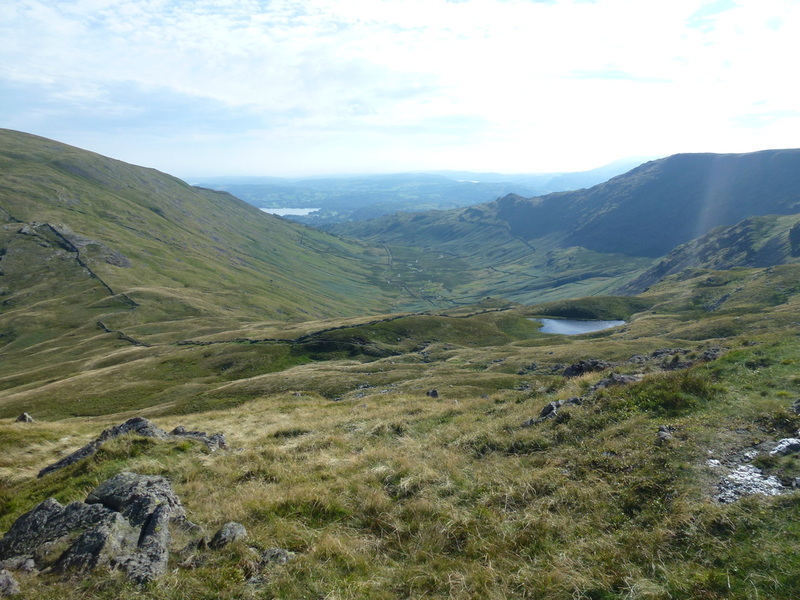 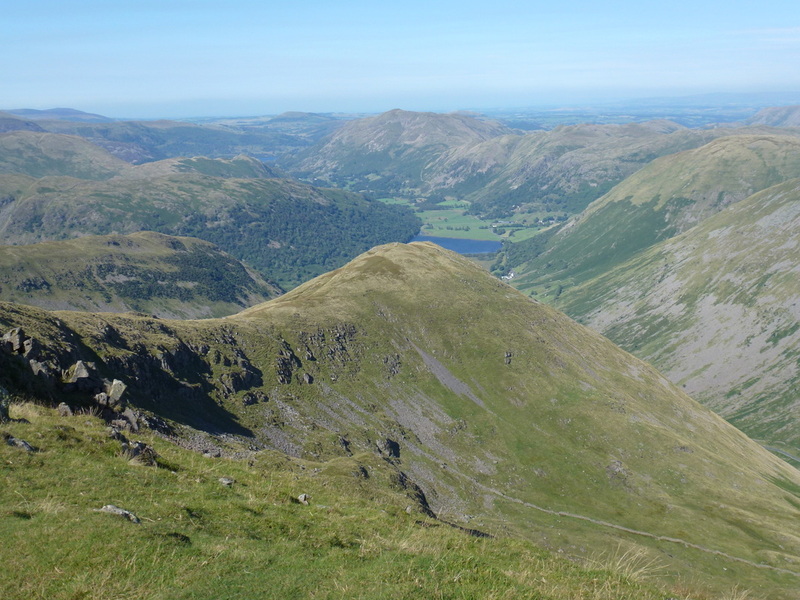 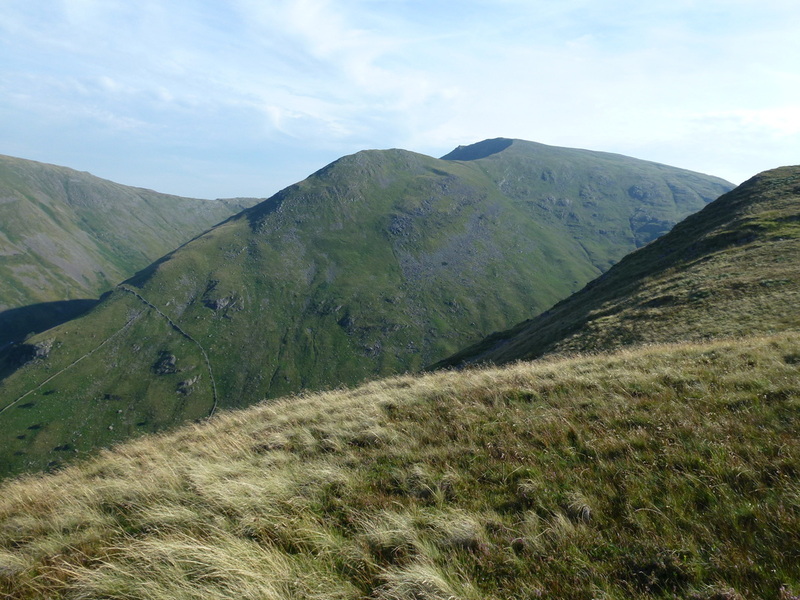 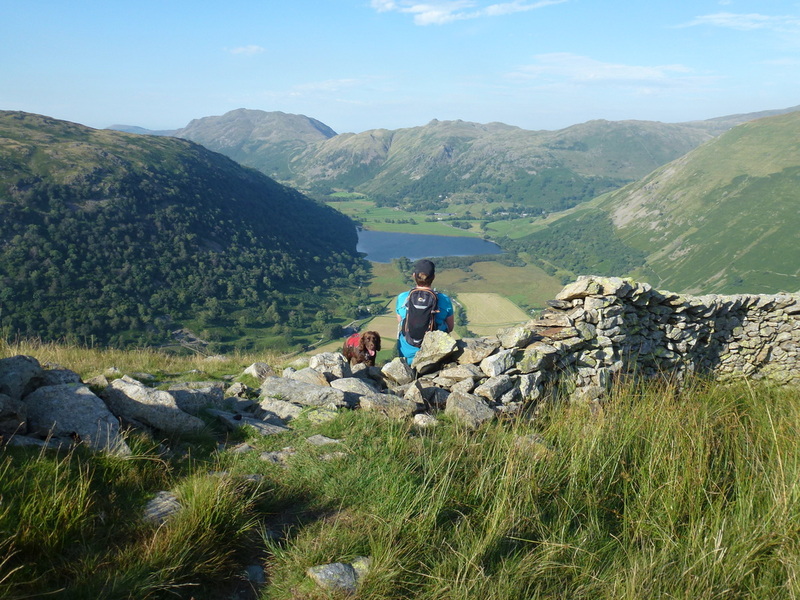 From Little Hart Crag there is a gentle descent to High Hartsop Dodd but on leaving the Summit the gradient becomes much more rapid and it is a bit of a knee cruncher before you arrive back at Hartsop Hall. 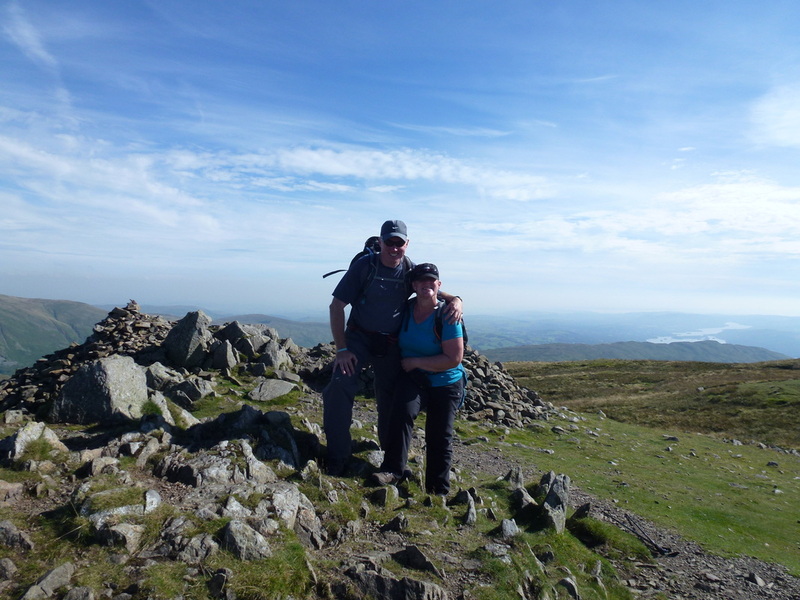 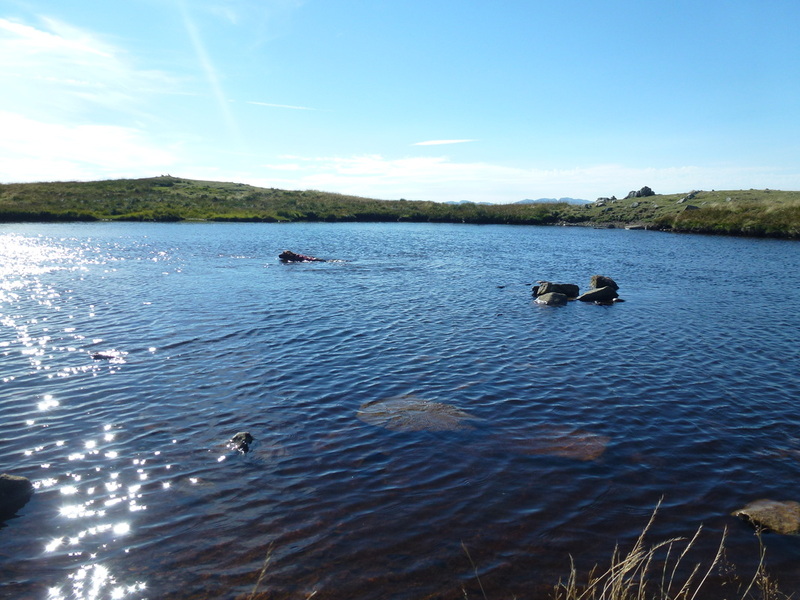 This was a fabulous walk - they always are when you have the conditions we had today! 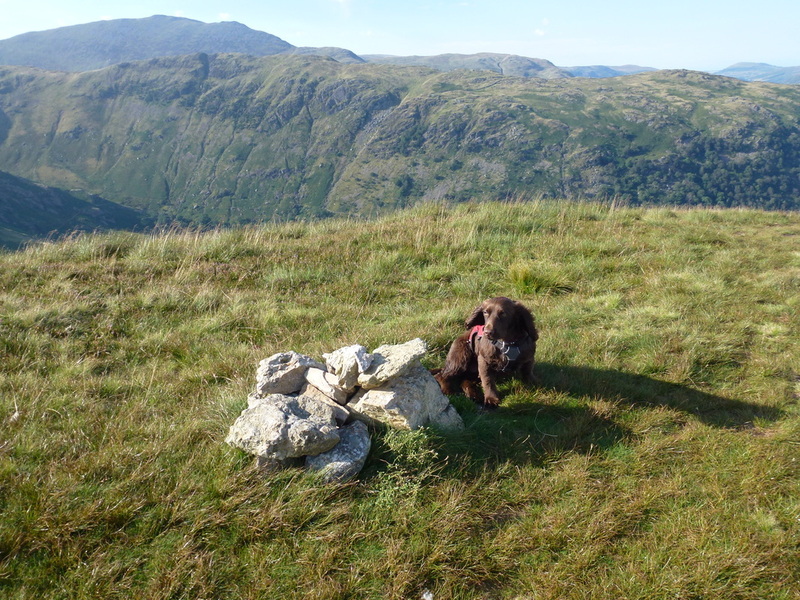 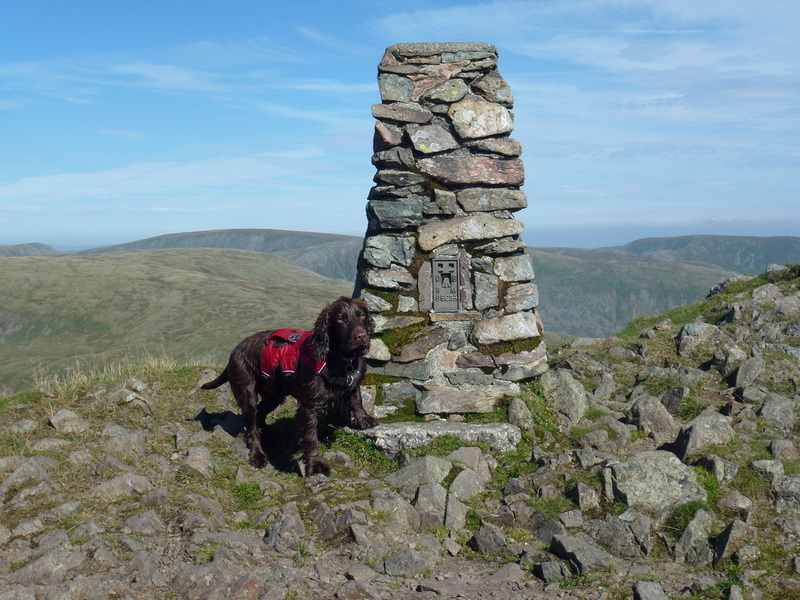 Red Screes - he is a clever dog but Fudge did not take this photograph!